What’s a game of football without a ball?! 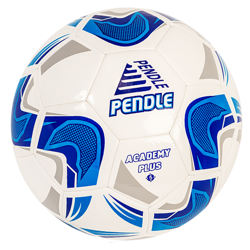 Pendle offers a large range of size 4 footballs, in a huge range of different colourways, designs and constructions. All footballs come in a range of sizes including size 3, 4 and size 5, meaning you can get the right size for your age group. We understand at Pendle that the construction of a ball can have a great effect on its performance. We ensure every ball we sell is manufactured to industry leading standards, including soft touch, and high air retention bladders making them suitable for both grass and artificial grass. 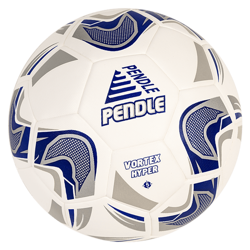 To keep costs down and get the best value for your football club why not try our own high quality recommended match ball, the Pendle Vortex match ball? This is available in both white and fluo colours, constructed from high quality materials with 32 panel hand stitched construction, manufactured to industry leading standards and tested by industry specialists. They are quite simply the best quality match balls for the lowest price! Looking to order a large number of balls for training? Purchase a pack of 30 Pendle Academy footballs or double up with 60 training balls at ridiculous low prices, all available in size 3, 4 and 5 and a variety of colours.